Eugene de Mazenod, founder of the Missionary Oblates of Mary Immaculate (O.M.I. ), was born on 1st August 1782 in southern France. He was the only child of an aristocratic family. During his childhood, the French Revolution broke out. The French government persecuted, tortured and even put to death many members of the aristocracy as well as the church. When Eugene was 8, the de Mazenod family fled to Italy to find shelter against the disaster. For 11 years, young Eugene was forced to remain in exile in Italy, experiencing all sorts of suffering and sorrow. His education was persistently interrupted and sometimes he had to undergo the agony of separation with his parents. Only those who personally experienced his suffering could understand the pain that he felt. In 1801, when Eugene was 19, he returned to France with his family. France at that time was a far cry from the France that he knew as a child. The Church had suffered most gravely and sustained tremendous loss. Many churches were damaged, church properties confiscated, and many missionaries had lost their life. Ten of thousands of believers became lost like sheep without a shepherd. Moreover, as a result of the continuous war, many fell into extreme poverty. These misfortunes left a deep imprint in the young heart of Eugene. Thereupon, he made the decision to join the priesthood - to devote his entire life to serving the church, the poor and people in need. However, his wealthy mother adamantly opposed this decision and employed many ways to stop Eugene from taking his holy call. Despite his mother’s strong opposition to his desire to become a missionary, Eugene was undeterred. 7 years of persistent prayers, waiting, pleading followed. His perseverance and patience, coupled with his strong desire to serve the church and to help the poor finally converted her stubborn heart. In 1808, she permitted him to enter a seminary in Paris to study philosophy and theology. 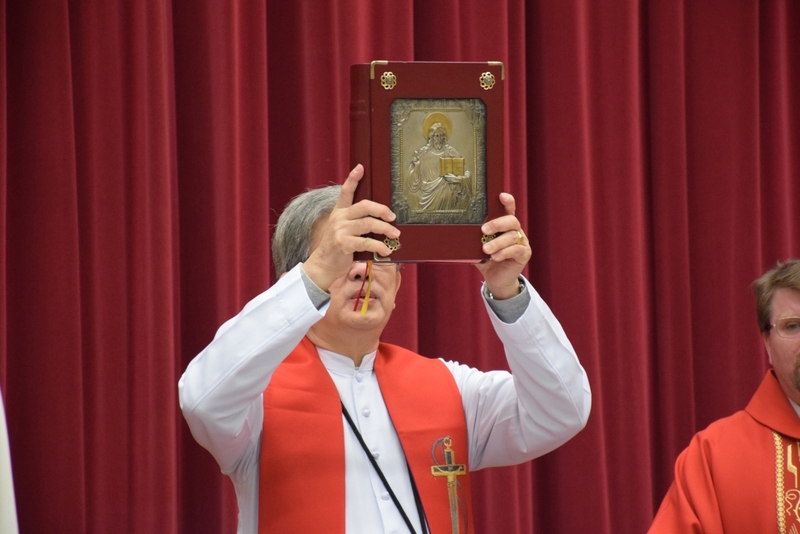 He was ordained after 3 years, when he was only 29. 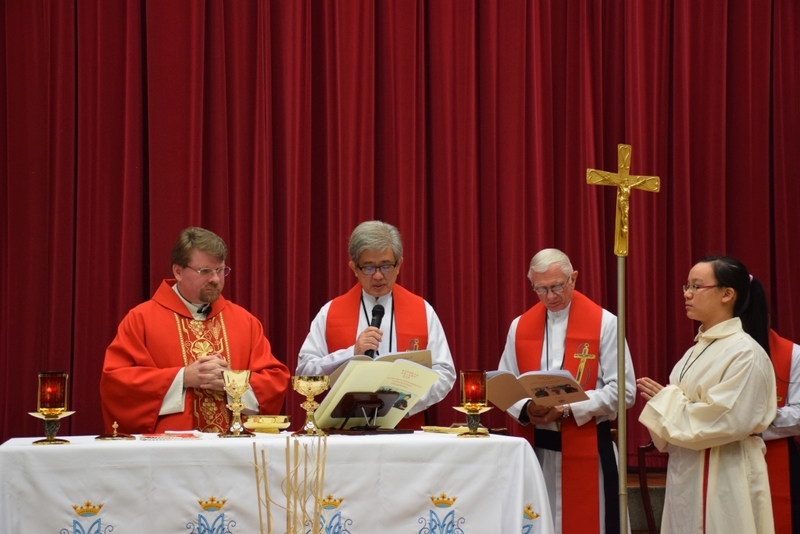 Following his ordination, Fr de Mazenod began organising retreats at different parishes. 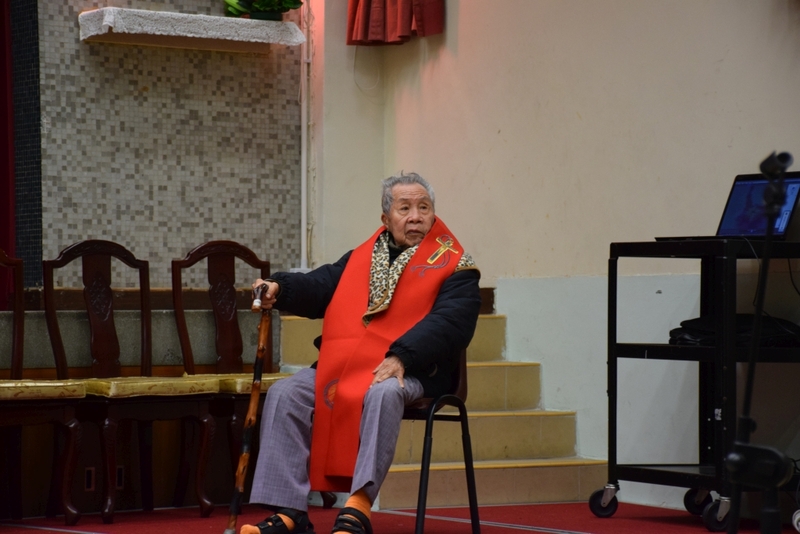 He spent 2-4 weeks at each parish, teaching people the true Christian spirit of loving God and people. He sent missionaries to poverty stricken areas to help the people and to give catechism instructions to their children. Many young priests, who had the same call as Fr de Mazenod, joined him and his work was admired and greatly appreciated by his Superiors. In 1815, de Mazenod was called to the diocese of Marseilles to undertake the same work. He was first appointed as the Auxilliary Bishop of the area and later as Bishop of Marseilles. When the success of their work led to a greater demand for their services and the number of participating priests expanding, de Mazenod took steps to form a religious congregation, devoting wholeheartedly to areas that asked for their help. Owing to strong oppositions from some people in the church, his work was constantly thwarted but he was never discouraged. On the contrary, he continued to work even harder and prayed more fervently. Finally, on 29th January 1816, the Missionary Oblates of Mary Immaculate was established. After 10 years, on 17th February 1826, formal approval was received from Pope Leo XII for the new congregation. They became known as the Missionary Oblates of Mary Immaculate, in short O.M.I. or Oblate Fathers. De Mazenod died on 21st May 1861 at the age of 79. Owing to his unsurpassed work and holiness, he was beatified by the then Pope Paul VI as Blessed de Mazenod on Mission Sunday on 19th October 1975. On 3rd December 1995, Pope John Paul II formally proclaimed him a saint of the Church in the Cathedral of St Peter in Rome. When the Missionary Oblates of Mary Immaculate was first established, their main area of responsibility was to assist the Bishop of France. Later, at the Pope’s request, the congregation began expanding their missionary work to other parts of the world. 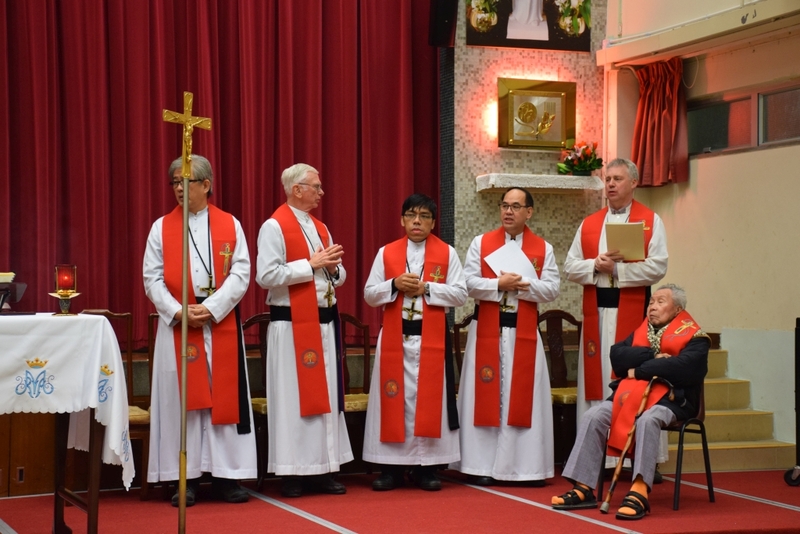 At present, there are 6,000 Oblates working in 68 nations, mostly in very poor places. Their work includes parish, education, retreats, seminaries, social works and the mass media. However, to serve those in need, especially the poor, the neglected and the abandoned are still their main area of responsibility. 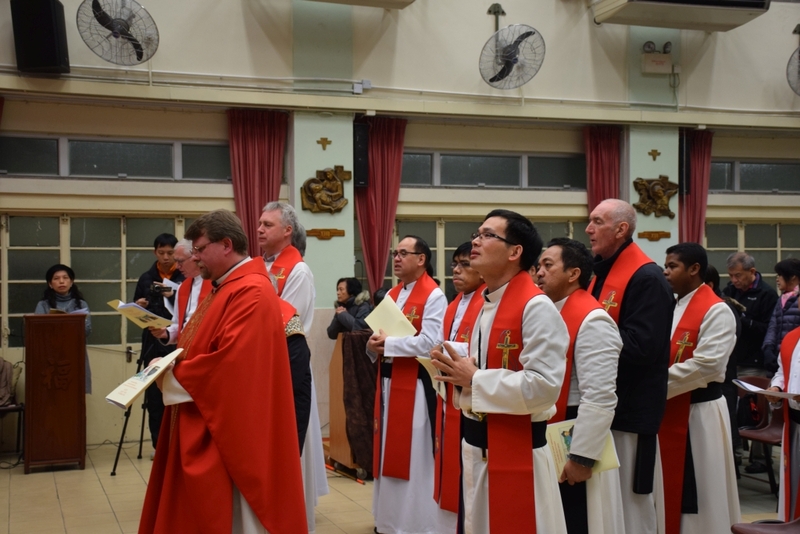 The Missionary Oblates of Mary Immaculate came to Hong Kong in 1966. In 1967, the Notre Dame Collage and the Notre Dame Chapel was established. In 1975, the Oblate Fathers Primary School and Chapel were opened. 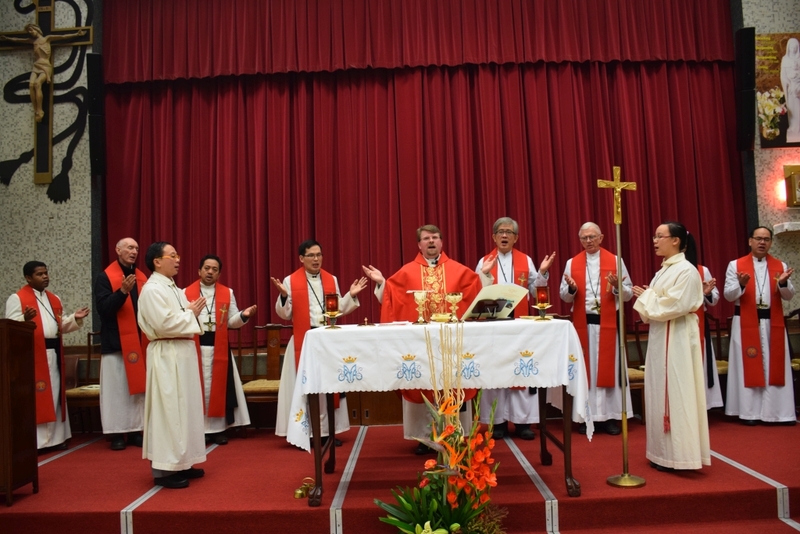 In September 1995, they were assigned to the Epiphany Parish in Mui Wo, which includes the Chapels in Tai O, Discovery Bay and Peng Chau. 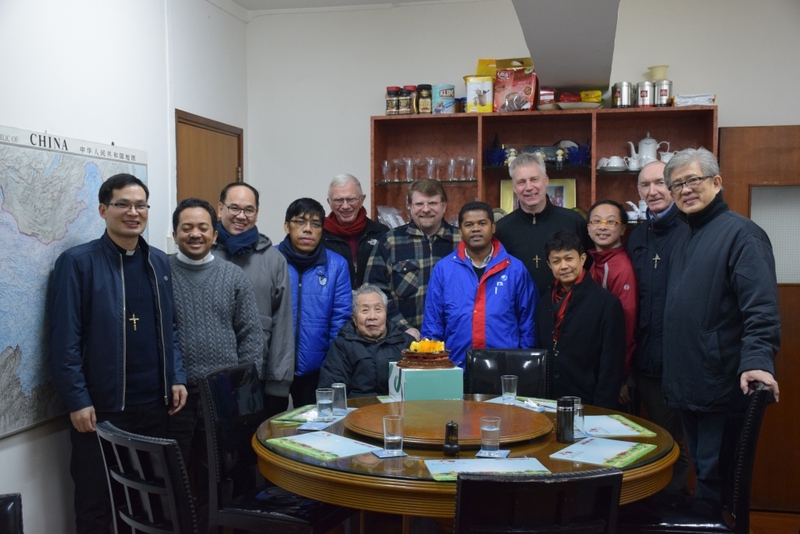 Today, they have a total of 10 serving Chinese and foreign priests and 2 brothers. The aim of the Missionary Oblates of Mary Immaculate is to preach the Gospel and provide services to people in need, especially the poor, the neglected and the abandoned. This is why de Mazenod’s missionaries were first despatched to the Arctic and the Native Americans. Later, they were sent to South Africa and other poor and neglected areas. Nowadays, a great number of the Oblates are still preaching and serving in those places. Secondary school graduates, devout, healthy male Christian youths who are willing to work for the Church and the poor people. 1. 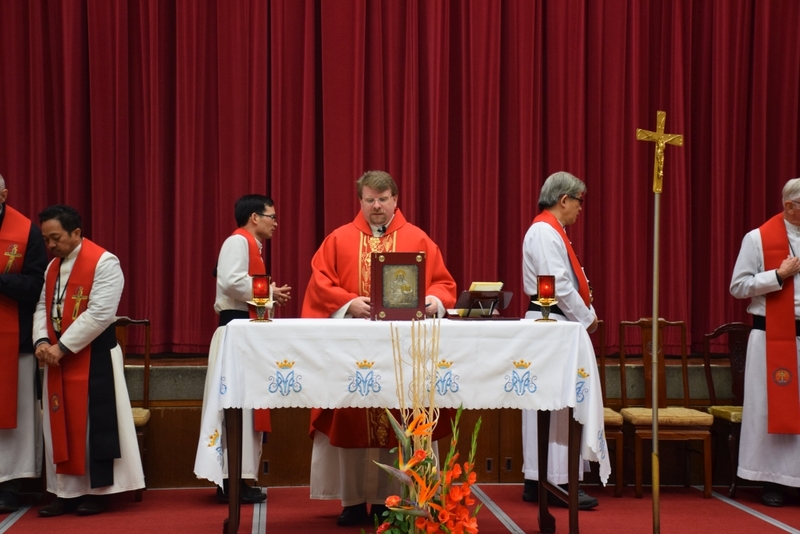 Postulancy Postulants receive a half to one-year formation and inquiry to determine his call for vocation. The process will help him reach a clear decision about his vocation and at the same time, evaluate and experience seminary lifestyle. 2. Novitiate This is a one-year program and the most basic formation period of the Oblates. During this year, Novices will be trained on the awareness of Oblate spirituality, while being strengthened in faith and spiritual life. Following the Novitiate Programs, Novices can take their first vows. 3. After the Novitiate, Apostolate take 2 to 3 years of Philosophy and 4 years of Theology as their training program. 4. If necessary, they receive further professional and occupational training. 1. Blessed Sacrament Every Oblate has to adore the Blessed Sacrament either alone or with the community for an hour each day, half hour in the morning and half hour in the evening. They have also to spend time with the community to say the morning and evening prayer in the presence of the Blessed Sacrament. 2. Our Lady The name of our religious community, Missionary Oblates of Mary Immaculate, is derived from Mary, our patron saint. Every Oblate must pay special devotion to Mary, and to follow all her good examples.